From 1977 to the present - 40 years of high quality dancing, adhering throughout to the early objectives of the team : 'original and true spirited morris style', 'precise and energetic dancing', 'spectacular and original performance'. And what a fascinating story it's been - the early establishment of the team in the late 1970s, the consolidation and development throughout the 1980s with a fine group of dancers, the parting of the ways in the early 90s between musicians and dancers leaving the team on the brink of folding, the later re-establishment and re-energising of the team with an influx of new musicians, new dancers, and innovative new dances, and in recent years the addition of new younger members who have helped carry the team forward with renewed vigour. To date around 35 dancers have performed with the team, and hopefully all have enjoyed their time in the side, as the team has always found a way to make their performances entertaining and fun for both spectators and performers. As a consequence, over the 40 years the side has consistently been invited to perform at high profile events, and on several occasions has performed overseas including the USA. 40 years on, the side continues to look forward, not backward. but meanwhile here is a bit more about how it all happened! How did it all start? Well, in or around 1973 the morris establishment was disturbed by two revolutionary phenomena. 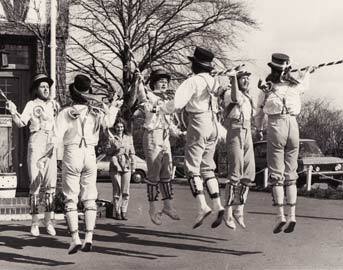 The first of these was the formation of a ladies' morris team at Bath University, an event subsequently repeated in many parts of the country. 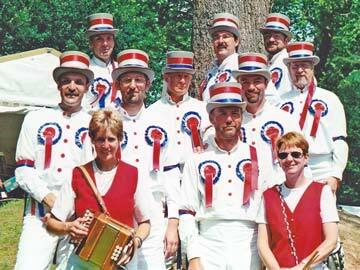 The second phenomenon was the appearance of Berni Cherry's Gloucestershire Old Spot Morris Dancers. On Whit Monday in 1974 and 1975 (and subsequently) this team was invited to perform outside ‘The Talbot’ in Bampton (Oxon.) 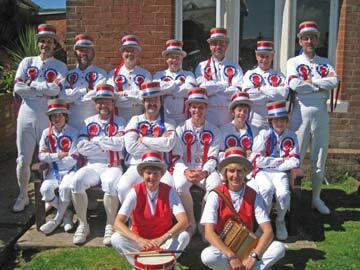 by the Traditional Bampton Morris. 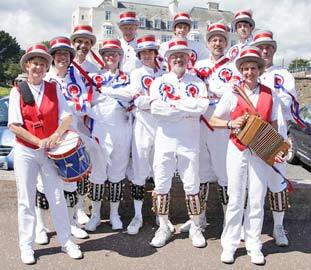 Old Spot had strayed far from the accepted concept of a morris side. 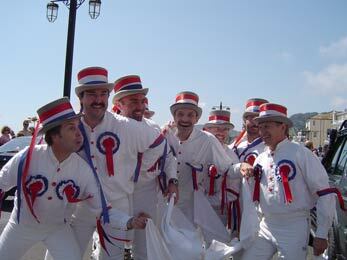 They had taken and reconstructed an entire extinct morris tradition from Gloucestershire (Longborough) and presented this in a refreshingly colourful, precise and almost unbelievably energetic fashion. From the onset it was decided that the team should adopt a single style of dancing and do this as energetically as possible. 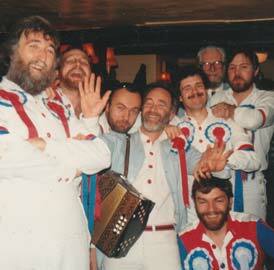 The Fieldtown tradition (former dances of Leafield and Field Assarts, Oxon.) 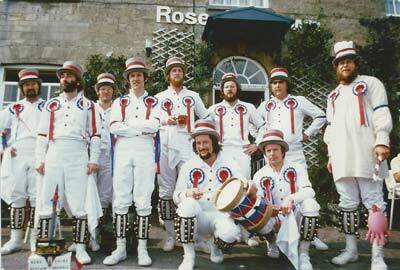 was chosen after a certain amount of deliberation, partly because of the large and varied repertoire, but also because the Fieldtown side(s) had held a widely-acknowledged reputation for good dancing in the Cotswolds. There was also undoubtedly an element of perversity, as current teams at that time tended to dance Fieldtown in a somewhat 'fairy-like' fashion, although in fact there was strong evidence that the dancing was energetic and spirited. 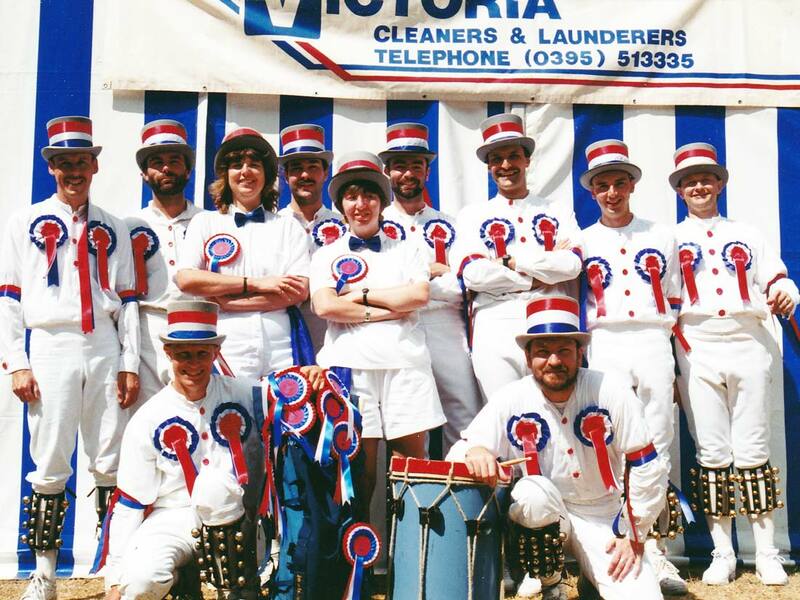 The costume, perhaps not surprisingly, was constructed along similar lines to that of Old Spot and included red, white and blue rosettes, in fact almost ubiquitous amongst the old Cotswold teams (but not Leafield) and, very appropriate, as it happened for Jubilee year (1977). There were considerable individual kit variations and a smattering of home-made top hats which made the overall effect convincingly rustic. 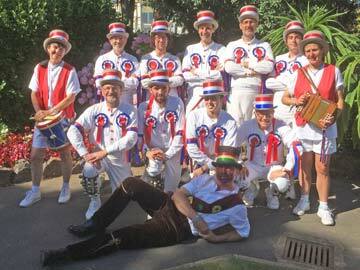 The team became known as Silwood Morris and enjoyed a quiet but successful first season. 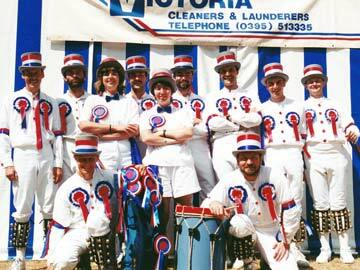 The standard of performance was reasonably good and noticeably livelier than some established local teams. The climax of that season was an energetically bacchanalian tour of the Cerne Abbas area of Dorset - however, this was also the last occasion on which the original members danced together because they had finished their undergraduate courses and were leaving the area. In the following Autumn efforts ware made to preserve what had been achieved so far and the decision was made to 'go public'. 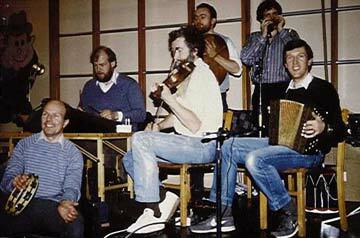 A small group of rather older recruits was gleaned from a local folk club and the team remained viable. Just. 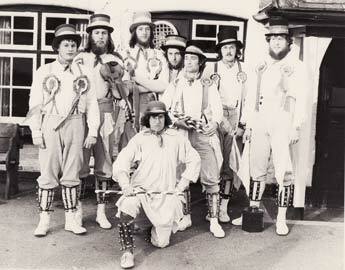 However in November 1977 the side's name was changed to Berkshire Bedlam Morris Dancers. This title was suggested by E.C. Cawte’s paper dealing with border morris traditions where reference is made to ‘ye bedlam morris’. 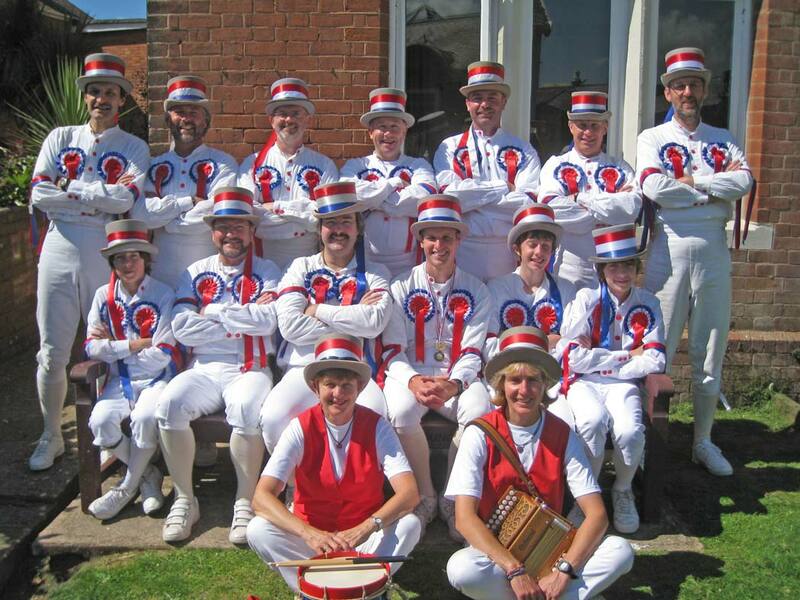 This name seemed to express perfectly our approach to morris dancing although we later learned that John Kirkpatrick had already named his successful border morris team the Shropshire Bedlams Morris. 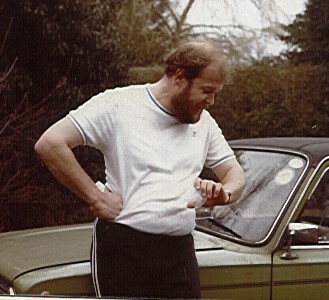 In the Spring of 1978 the team moved its headquarters to St Paul's Church Hall, Wokingham because of recruiting difficulties at the rather remote Silwood Park. After this move in effect the team was restarted. The team's objectives were rationalised, a set of ‘rules’ formulated and the costume redesigned. The move to Wokingham proved successful and led to a steady improvement in the team's membership, stability level of performance and reputation. These objectives have remained the ideal for Berkshire Bedlam since their inception! Jeff Bates - No history of Berkshire Bedlam would be complete without acknowledging the huge role played by founding member Jeff Bates during the first 10 years of its life. 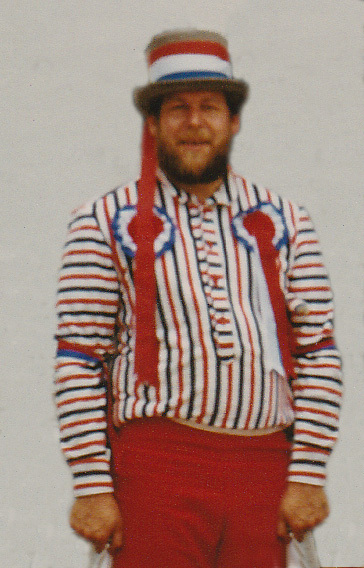 Along with Ron Withington, Jeff carried out a large amount of research on the Fieldtown dances, and then went on to became the real inspiration and driving force behind the side as it developed, playing the parts of foreman, dancer, musician, and the first Fool. Jeff was responsible for researching the music and dances, and composed several tunes to fit some of the dances, many of which are still used today. Without Jeff it is highly unlikely BB would have developed as it did, and all those who have ever been a part of the side owe him a huge debt. Throughout the 1980s the side flourished, with a steady core of members without ever having a huge side, and several of its own traditions emerged. 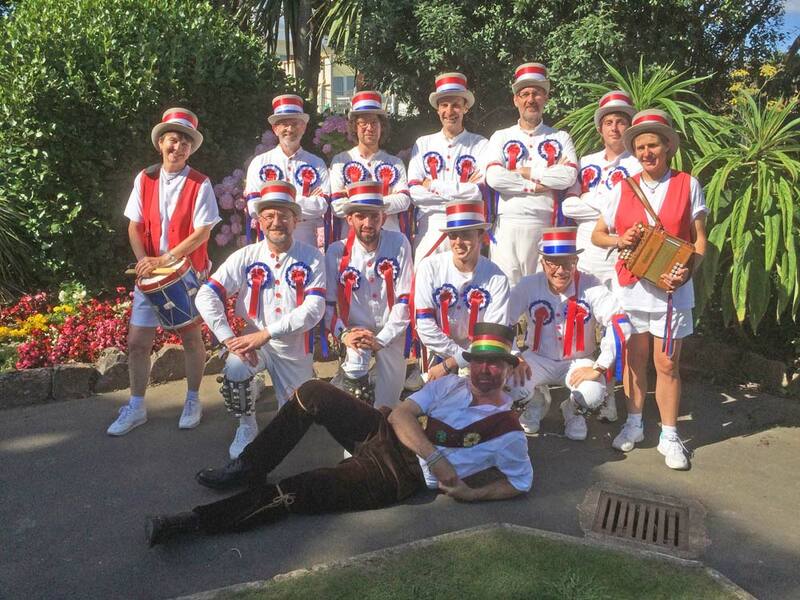 An annual 'Dorset Tour' has taken place almost every year since 1977, a weekend dancing tour usually just for the team members and families, based at the infamous 'Giants Head' camp site at Cerne Abbas. The side also set up an annual ceilidh in November called the Berkshire Bedlam Bunfight which has acquired a cult status of its own (see separate Bunfight page for more details). 10 mile pre-season training runs were set up with individuals times monitored, the assumption being made that people don't do the morris to get fit, they need to get fit to do the morris! 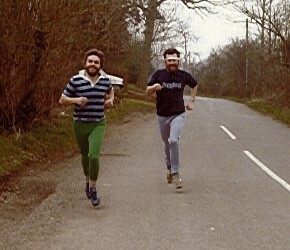 And the 1980s saw a number of cycling tours taking place to prove how fit everyone was - or wasn't. Not many Morris sides can claim to be immortalised at the Royal Academy but this portrait, depicting a scene from the 1980s featuring Dave, Stuart, and Jeff in classic pose is still on display there today. 1987 saw some major upheaval when founding father Jeff Bates decided that 10 years of leading the side was enough, especially when coupled with niggling injury, and quit. The side though by this time was strong enough to carry on without Jeff and continued over the next few years to maintain the high standards which it had already established. In the early 1990s the side's numbers started to decline, when several of the key members of the 1980s decided they too had had enough. 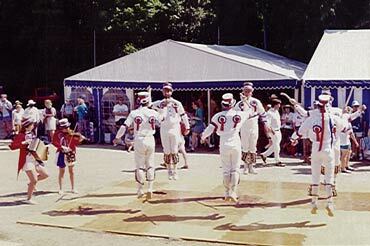 By 1992 the side was close to folding, and went through the entire season without dancing out. However the following year things started to look up again - some new dancers and, critically, new musicians came along, and the side re-established itself. In 1994 they took part in the ritual dance competition at the highly prestigious Sidmouth Folk Festival, coming a very respectable joint 2nd, and partly because of that were invited back to the Festival the following year to take part as a town side. The Sidmouth appearance was perhaps the catalyst for a very creative period in BB's history, with innovative, inspirational and entertaining new dances being added on a regular basis, and the side enhancing its reputation as one of the best regarded Cotswold sides in the country. 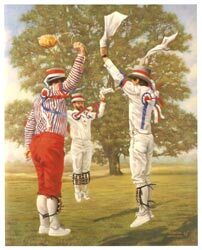 The 1990s also saw the development of several inspirational spots for its annual 'Bunfight' ceilidh, which helped the side be seen as not only a fine morris team, but one capable of providing broader entertainment for an audience as well as enjoyment for themselves. The side continued to hold annual Dorset tours, still a highlight of each year's calendar, and undertook some more ambitious tours including Denmark, Ireland, and Guernsey. In 2000 Berkshire Bedlam were invited to be the main Arena Cotswold side at the 2000 Sidmouth Folk Festival, the largest and most prestigious such event in the UK. This reflected the standards achieved and maintained by the team in previous years, with the core of the side now having been together for some time. The event was a big success for the side with very favourable reviews of the programme undertaken, which included organising and performing in the Morris Party at the Anchor Gardens, and appearing several times on the main Arena Stage, including a mesmeric performance of 'Dance of the Little Fairies' in the Friday night finale show. 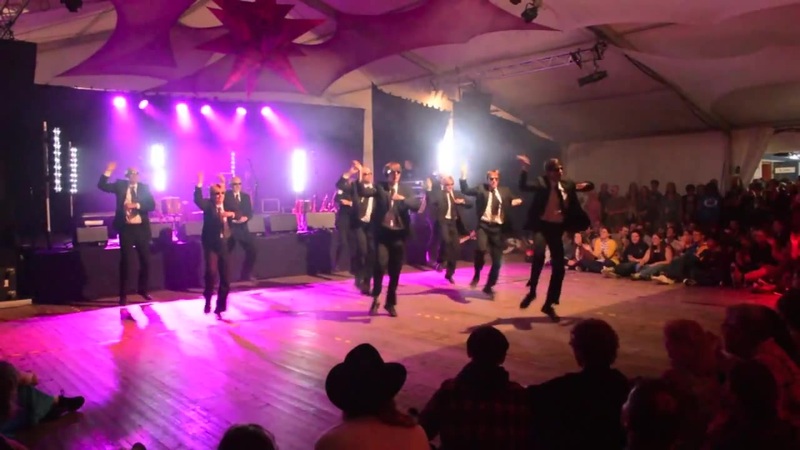 Over the next few years the side cemented its reputation as one of the leading Cotswold teams in the UK, with new and innovative dances continually being added to the evolving repertoire. 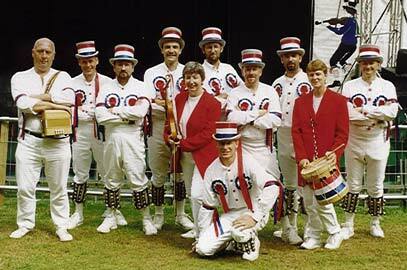 In 2003 BB were invited again to perform at Sidmouth, with shows on the Arena stage including a special showcase of Morris over the ages where they recreated a traditional 'Matachins' sword dance in spectacular style. 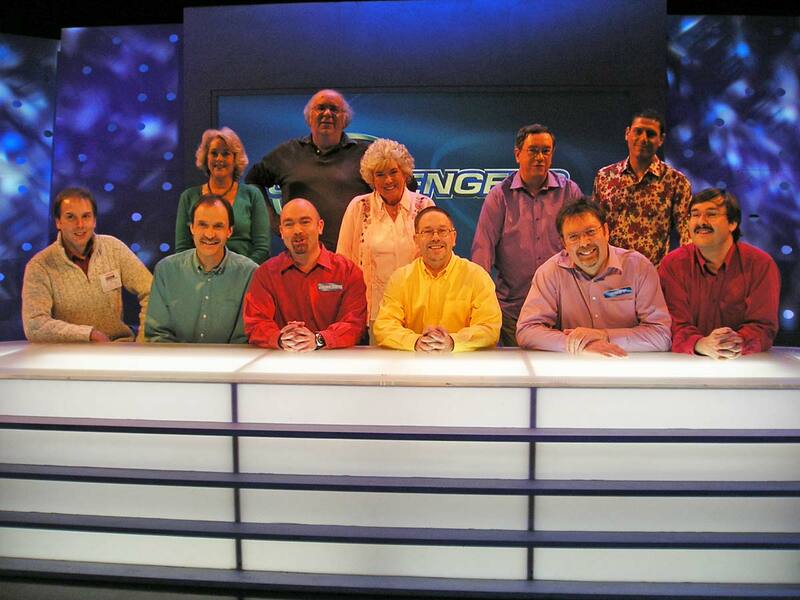 2004 and 2005 featured further leading festival and other high profile appearances, including a filmed appearance on CBBC's Chucklevision programme, and in 2006 the side formed an innovative and highly successful partnership with The Outside Capering Crew to put on joint shows to larger audiences under the name 'The Big Caper'. The Big Caper show would appear at a number of larger festivals over the next few years, both in the UK and overseas, always receiving great appreciation from audiences. Meanwhile in 2007 the side celebrated its 30th birthday in fine style with a celebratory weekend of dance and further leading festival appearances including Sidmouth once again, Towersey and more highly original Big Caper shows. 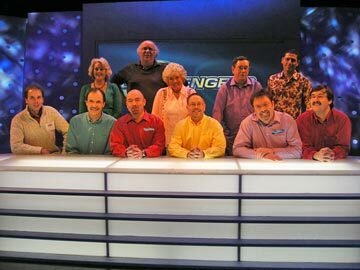 They also came within touching distance of a prize of £59,000 on the BBC's Eggheads quiz programme - but remained untroubled by passing (small) fortune. 2008 saw a continuation of the side's high standards, with more high profile events, and further development of the Big Caper shows. It also saw one of the side's most surreal events, performing at a private birthday party for Sting at his Georgian mansion in Wiltshire, including doing the Coconuts dance with guests including Sting, Kevin Spacey, David Walliams and Robert Downey Junior. And the BB members were more than happy to sign autographs for them afterwards. 2008 finished on a very upbeat note, with some promising new young recruits joining towards the end of the year, and in 2009, apart from the usual array of excellent events, the side filmed another appearance for CBBC, this time for a childrens science programme called 'Spacehoppers', first transmitted in March 2010. The arrival of the new younger members had given a welcome boost to the side's dancing capability, and provided opportunities to field 2 sets at events for the first time for many years. 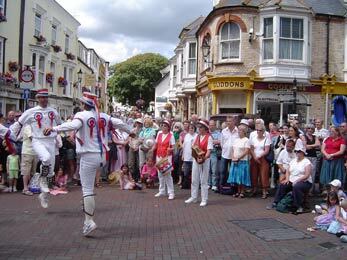 A welcome opportunity to demonstrate this, and the ever increasing prowess of the newcomers, came with another prestigious full week appearance at the Sidmouth Folk Week in August 2010. 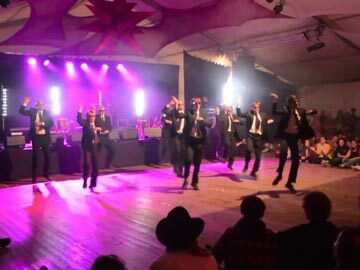 This included the highest profile appearance yet for the Men in Black routine at the Late Night Extra ceilidh with the Committee Band where the routine went down a storm, and it has continued to remain a favourite of the side since its first development in 2004. 2011 was another year of big events, not least the long awaited marriage of our own Jameson to Emma, preceded by a minibus accompanied dancing weekend in Sheffield and the Peak District, agreed to be great fun by all those who attended and could remember it. In 2012, amongst further high profile events and festival appearances, the side celebrated its 35th birthday by inviting many old friends and guest teams to a memorable Olympic themed weekend of dance and a whole lot more - complete with Olympic 'games', medal ceremonies, sports and spots. The year finished with a fleeting appearance on ITV's Downton Abbey Christmas Day special in front of 7.3 million viewers - a little larger than most of the audiences in our history (so far...). Then in 2013 the team fulfilled a long held ambition in travelling to the US for the annual Marlboro Ale, leaving with reputation intact and the gleaming World Sally Championship trophy. Closer to home were further highly successful festival appearances at Towersey and the Sidmouth Folk Week, with both of these culminating in highly acclaimed performances of the extended Men in Black routine. 2014 and 2015 brought us more of the same, with very successful festival appearances at Warwick and Chippenham, and another overseas trip along with The Outside Capering Crew to take part in a festival in Hungary. Another very successful Sidmouth appearance followed in 2016, and 2017 brought the team's 40th birthday with another wonderful celebration weekend at Billy Bedlam's Holiday Camp with great guest teams and much frivolity. Another varied programme followed in 2018, and the side has been further stimulated by the addition of a number of excellent new recruits in recent years. Throughout all of the last 30 years and more, the annual Bunfight ceilidh has continued to be an integral part of the BB year, with a part of every autumn practice season being given over to development of a suitable interval spot for the Bunfight. The spot development process, never easy, sometimes daunting, but always an adventure, has become one of the raisons d'être of the side, and if nothing else each spot provides a talking point until time for next year's spot. 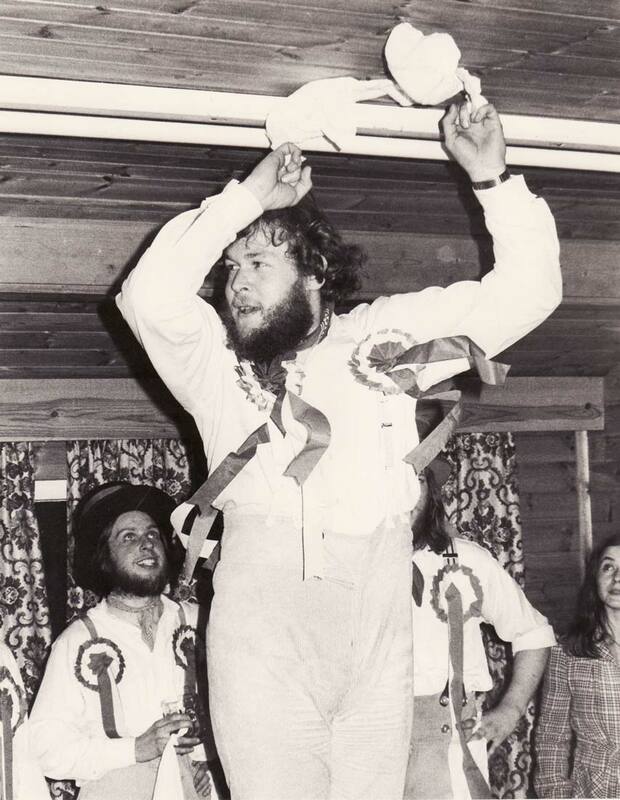 Now you have a taste of BB's history, you might also like to read some of Jameson Wooders personal views about Berkshire Bedlam, expressed in 2 articles contributed to 'Morris Matters' entitled 'Beyond the Black Book with Berkshire Bedlam - a personal view of a Modern Morris Tradition'. While written almost 20 years ago, his views remain unchanged, and the articles provide further fascinating insights on the side's history, background and subsequent development. They also contain a review of the ideology and motivation of the team, and are still very relevant for the Berkshire Bedlam of today despite the further passage of time. Click here for Part 1 and here for Part 2 (articles are in Microsoft Word).